Ross R. Fabregas was born and raised in Albany, N.Y. He attended high school at C.B.A., and continued his studies at Syracuse University where he received a Bachelor’s of Science degree in Consumer Studies with a minor in Entrepreneurship & Emerging Enterprises. After his graduation from Syracuse, Ross lived and worked in NYC for several years gaining valuable experience in the financial industry. 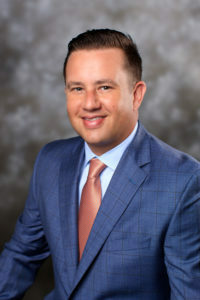 He ultimately returned to his roots, moving back to live in the Capital Region and beginning his career as a financial advisor in 2003. Ross works in conjunction with tax and legal professionals to help individuals, families, small business owners and non-profit organizations achieve their financial goals. After a thorough assessment of cash flow, risk tolerance, employer benefit packages, and listening to the concerns and aspirations of each client, he designs customized strategies individually tailored to achieve the most desirable end result. Whether it is paying for higher education expenses, planning for retirement, mitigating tax liability or utilizing insurances to protect loved ones, Ross has an unbiased independent and holistic approach in helping determine the best course of action. In addition, Ross is committed to making sure that the financial steps outlined in every personalized financial plan are implemented and reviewed on a regular basis. Ross holds his Series 7, 66, and NYS Life & Health Licenses and has completed the NYS Partnership for Long Term Care Insurance requirements. He has also successfully completed an advanced learning curriculum focused on asset allocation and wealth management strategies hosted at the Harvard University Faculty Club. Ross currently resides in Albany, N.Y. with his wife and three children.